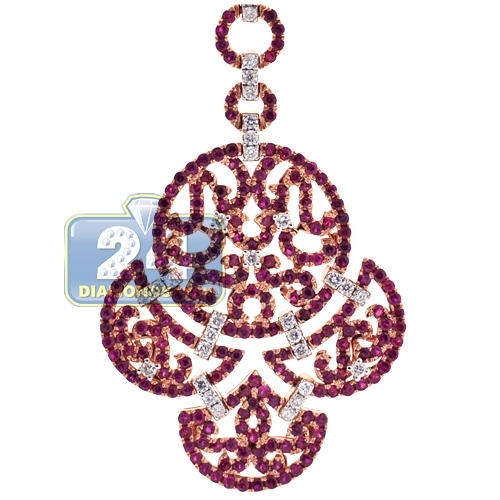 You will feel like royalty if you choose our diamond ruby chandelier pendant! 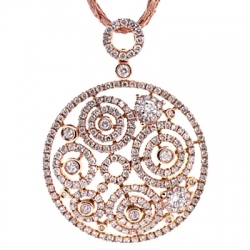 Professionally made of warm 18k rose gold, it's high-polished for very smooth touch. 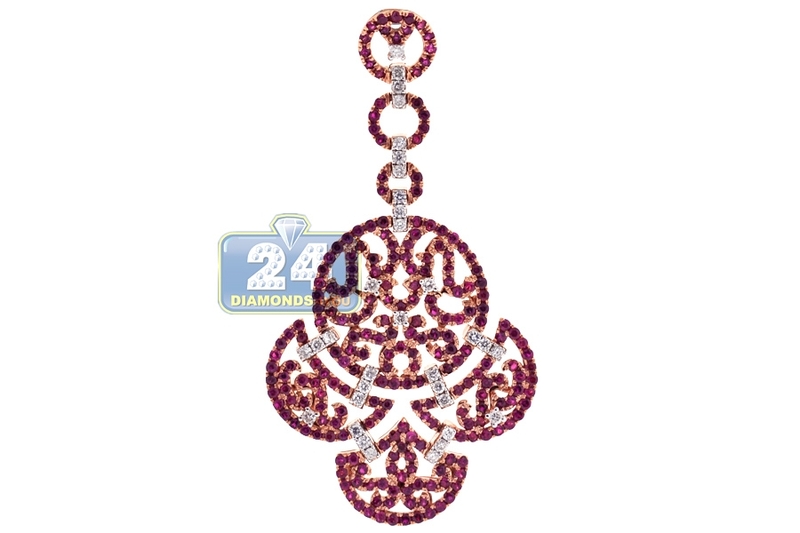 The gemstone chandelier pendant is prong-set with 3.26 carats of lustrous white round brilliant-cut diamonds and round-cut natural rubies. 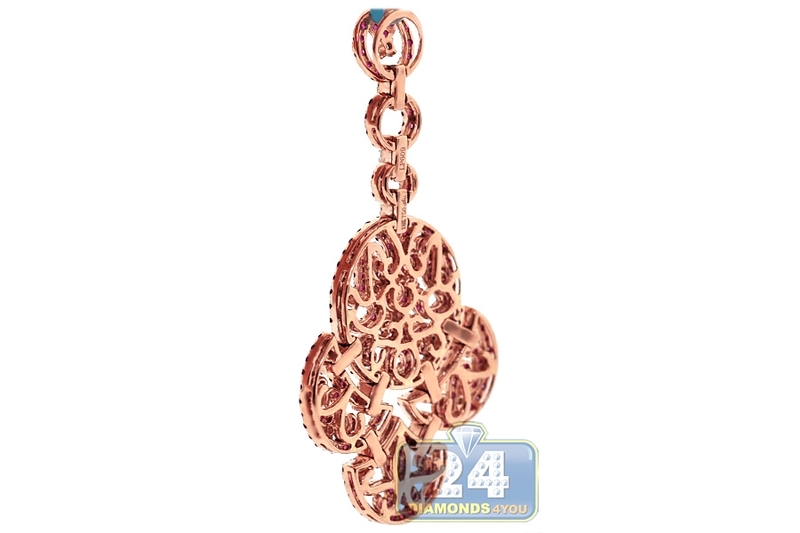 Our women's dangling pendant also measures 56 mm in total height and 29 mm in width. 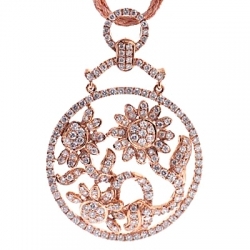 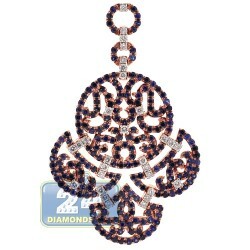 Truly spectacular addition to any jewelry collection!